Developer Daniele Teti has released a new book about Delphi XE6 Firemonkey. I’m sure most of the tips and ideas in the book apply to Delphi XE7 as well so if you only have XE7 you can still check it out. The tag line for the book is “50 hands-on recipes to master the power of Delphi for cross-platform and mobile development on Windows, Mac OS X, Android, and iOS” which sounds pretty good if you’re doing mobile development with Firemonkey. Reading through the table of contents the chapters are Delphi Basics, Becoming a Delphi Language Ninja, Going Cross Platform with Firemonkey, The Thousand Faces of Multithreading, Putting Delphi on the Server, Riding the Mobile Revolution with Firemonkey, and finally Using Specific Platform Features. It looks like there are probably some good tips and tricks in there and it is already the #1 seller on Amazon in the Borland Delphi Programming category. Daniele has a blog post up here where he lists the full table of contents. While the book is available as an actual book on Amazon it is much cheaper from the PACKT Publishing as an eBook. At the time of this writing it is $10 which is certainly a deal. All of the tips and tricks that are not VCL related should also work in AppMethod. 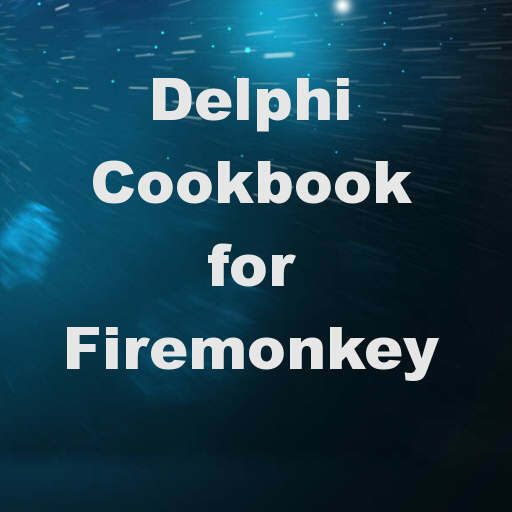 Head over and grab your copy of the Delphi Cookbook as an eBook for Delphi Firemonkey. 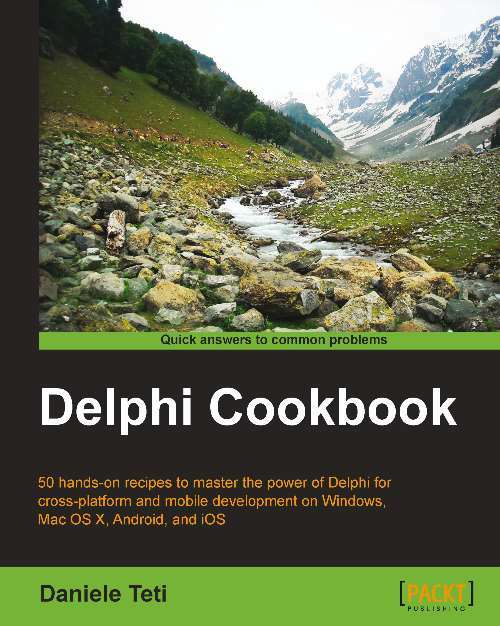 Head over to Amazon and buy your copy of the Delphi Cookbook for Delphi Firemonkey on a dead tree.